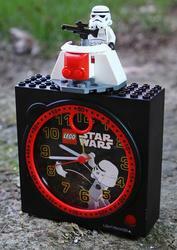 I’m sure the exquisite LEGO Star Wars alarm clock is not only for kids although it’s put into the category of Geek Kids. The alarm clock should extremely fit for those who love Star Wars and LEGO bricks. This LEGO Star Wars Alarm Clock is created by 21 pieces of LEGO bricks. 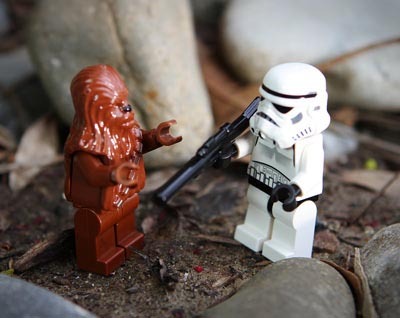 As we can see, two Star Wars Lego minifigures are standing on the top of clock, including Chewbacca and a Stormtrooper. And you can also add more LEGO bricks or LEGO minifigs to the top. Moreover, it comes with a buildable blaster turret, and integrates a Japanese Quartz movement. 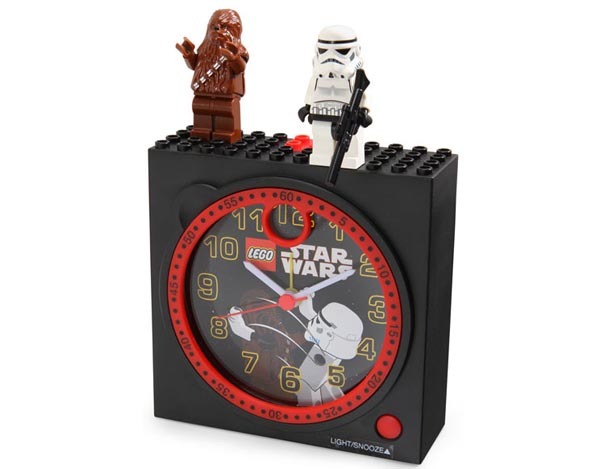 LEGO Star Wars Alarm Clock can be available for $28.99 USD. You can find it at ThinkGeek.